A pair of wedding rings. floral ornament, very refined ring, suitable for any production Ready for prototyping and production. Male ring - 20mm. Women's ring - 18 mm. I have a lot of experience in the following areas: jewelry design, 3d modeling, CAD, visualization, graphic design, design sketches. I work with passion and deep involvement in customer needs. 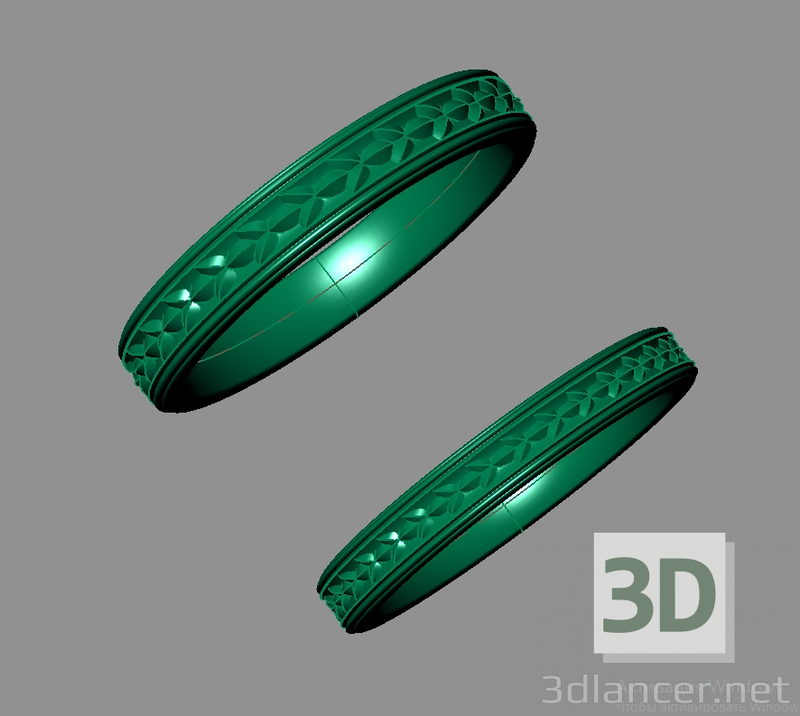 I am ready to develop my own jewelry collection concept or, if you already have an idea, sketch or image of jewelry design that you want, and you need to turn it into a 3D design, and therefore your model will be made on a 3D printer. I can turn your ideas into a 3D model.